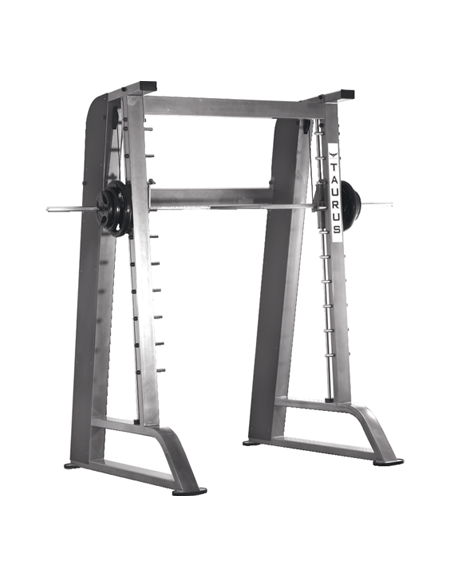 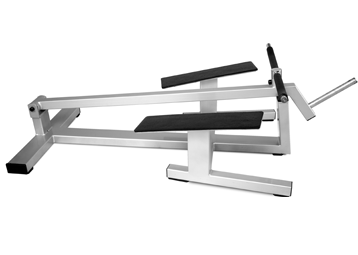 The bar on the Smith Machine is counter-balanced for a starting weight less than 15 pounds. 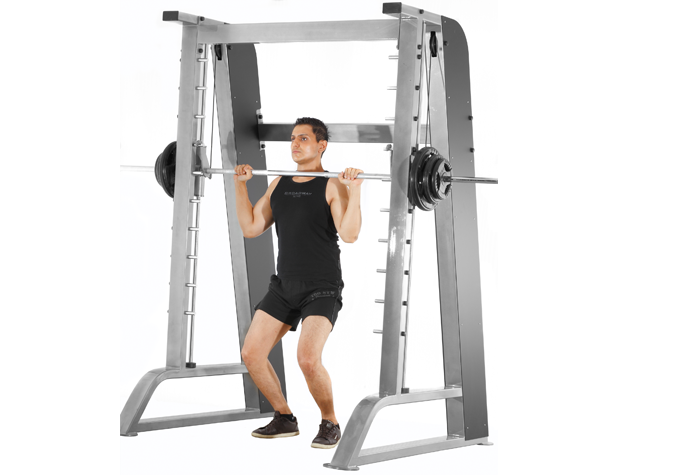 This is an ideal way for users of all strength levels to perform a wide range of upper- and lower-body exercises. 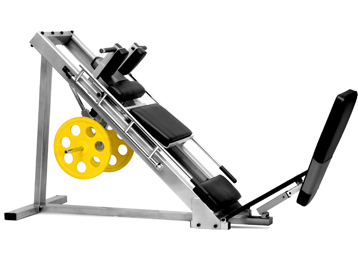 There are no crossbar support members at floor level, permitting benches to be conveniently rolled into the unit from either direction.